Rapper turned TV producer Curtis Jackson, a.k.a. 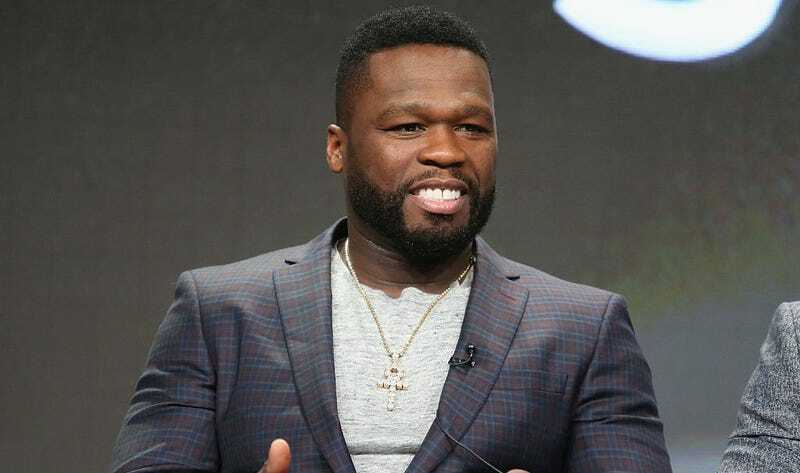 50 Cent, has got a new superhero TV show coming to Starz. It’s called Tomorrow, Today and it stars a hero that sounds almost exactly like Luke Cage, but is definitely not Luke Cage, since Netflix is premiering an actual Luke Cage TV series in just a couple of months. Which, I mean, is basically Luke Cage. (He was also imprisoned for a crime he didn’t commit, and then volunteered to be a guinea pig in one of those countless experiments attempting to recreate Captain America’s Super-Soldier Serum, the result of which made him indestructible.) We’ll give Fifty the benefit of the doubt, and presume there must be more to his show than he’s currently revealed. Jackson will be joined as an executive produced by Bates Motel’s Anthony Cipriano, Dan Kay and Kirkland Morris. The project currently doesn’t have a timeline, but Marvel and Netflix’s Luke Cage debuts this September.